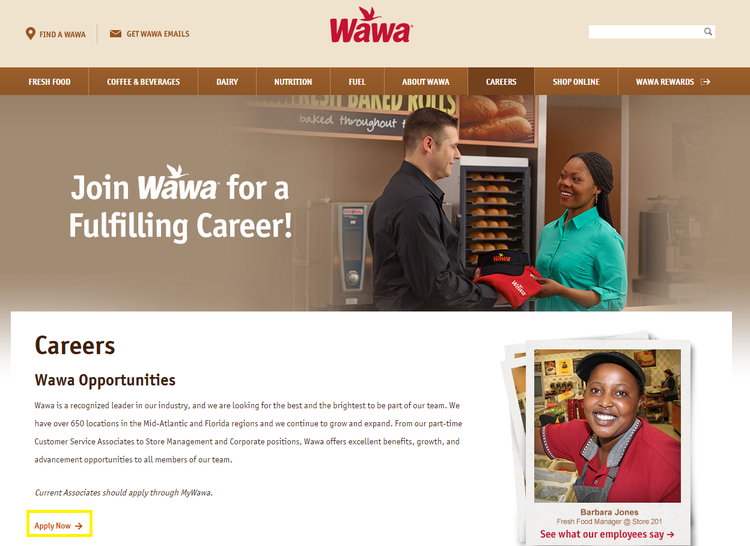 Visit https://www.wawa.com/Careers.aspx and you will find the "Apply Now" button. 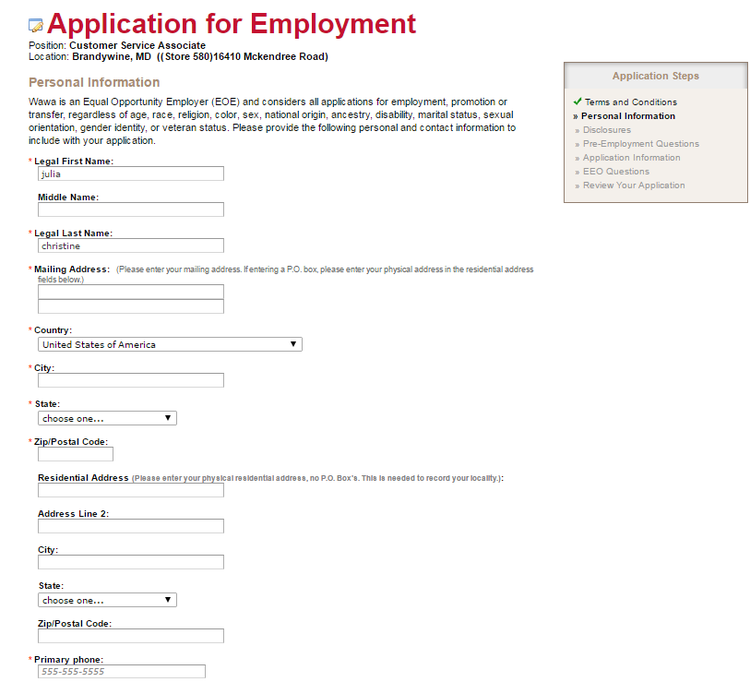 Click the button to start your journey of applying the job at Wawa online. As you can see from the picture below, you can choose to Apply to an Open Position or Apply to a Location Near You, and just select one way and click accordingly the button. 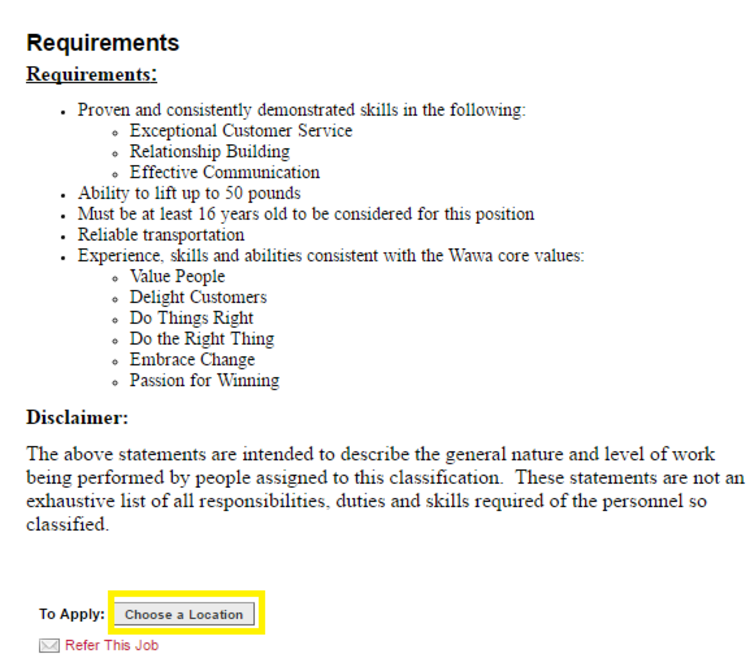 The article will take the Apply to an Open Position as the example to tell you in detail how to apply for a job at Wawa. Knowing clearly what have been mentioned above, what you have to do next is to choose the job type you want to apply for. The job type has been selected and you will be rendered a detailed job description page at the bottom of which stands a Choose a Location button. Click that button to find the location that you're willing to working at. Select the State and City of the job, and enter the Zip Code according to the guidance after which you will get the information in detail of the job in your chosen area. After you have finished the steps above, you need to create a new account which requires you to provide your real name and a valid email address. 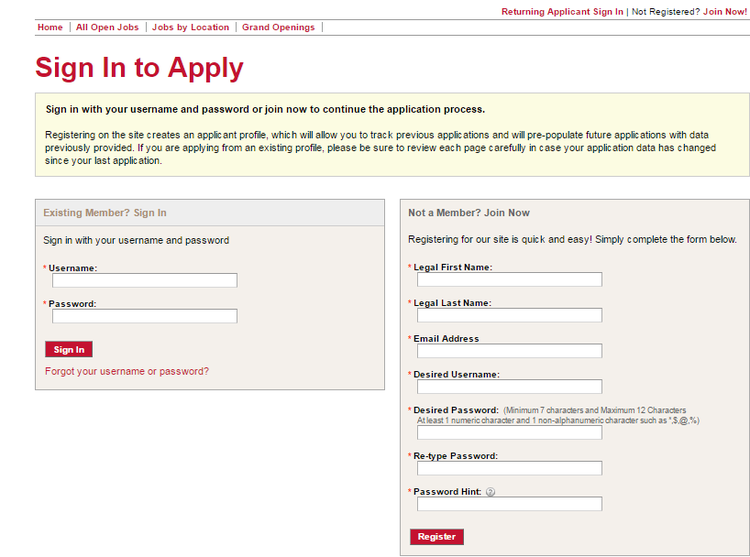 But if you already have a Wawa account, please sign in directly. You have to read carefully about the consents and disclosures before you make the application to know clearly more information about the company and the job. It is in this step that you need to provide your valid personal information and follow the steps listed to make your online application finished. Keep your contact information correct and then wait for Wawa's contact. 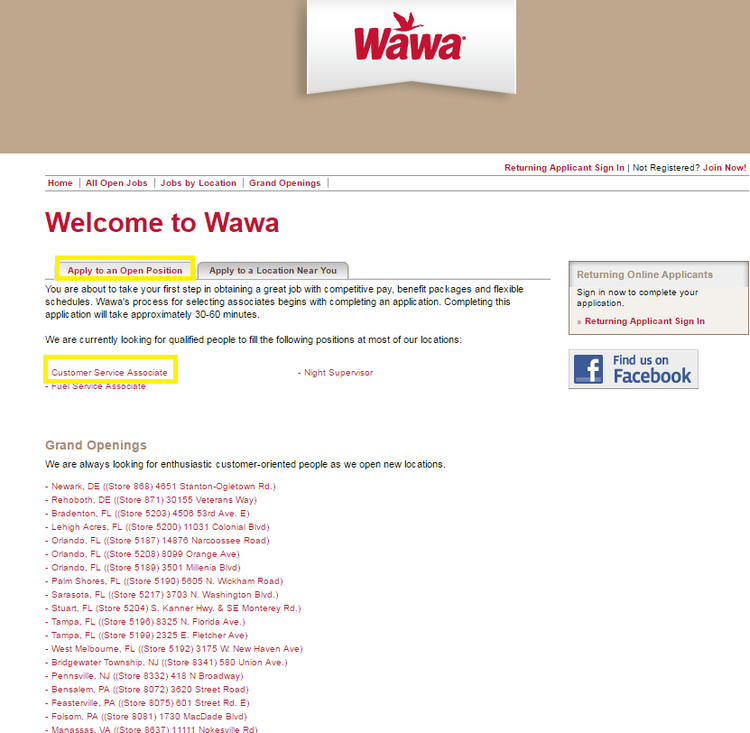 Click wawa.com/careers to apply for Wawa jobs online.